The average American vacation is short, and it’s getting shorter – U.S. citizens already use only a fraction of the vacation time they are entitled to, and the average trip dropped 20 percent in duration this year compared to 2016, according to a study conducted by Ipsos at the request of Europ Assistance. With the average vacation in 2017 lasting 1.4 weeks – down from 1.6 weeks a year earlier, according to Ipsos – it’s clear that Americans are on a steep downward trend when it comes to taking time off and exploring the world. TravelPirates, the travel deals finder quickly gaining steam in the U.S., is aiming to reverse this trend by showing Americans how they can take more vacation without burning through their budget or quitting their job. “It’s far more common for workers in the rest of the Western world to take full advantage of their paid time off, and we think it is a small and important change every American worker should make next year,” says Bisesto. Together with its European parent company HolidayPirates Group, TravelPirates is the most popular travel brand on Facebook in the world, with 9 million fans and counting. Now in the U.S., its team of expert deals hunters are on a mission to convince Americans that it’s possible to travel the world on a budget. Consumers looking to travel more in 2018 can check out TravelPirates.com, the TravelPirates app and the brand’s social media channels to snag deeply discounted flights, vacations, hotels and more, before everyone else. 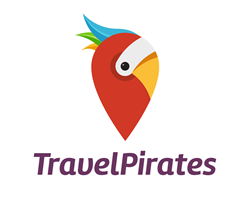 TravelPirates is the U.S. division of HolidayPirates Group, the world’s largest online travel community and leading source for travel inspiration and deals. Powered by a team of expert deal hunters, TravelPirates saves consumers time, effort and money by sharing the best value getaway deals, vacation inspiration and helpful tips and tricks for seeing the world on a budget.